The bird was found with the H5N6 strain on January 31. Poultry keepers in Northern Ireland have been called to be on standby for outbreaks of bird flu after a case was confirmed in County Tipperary. 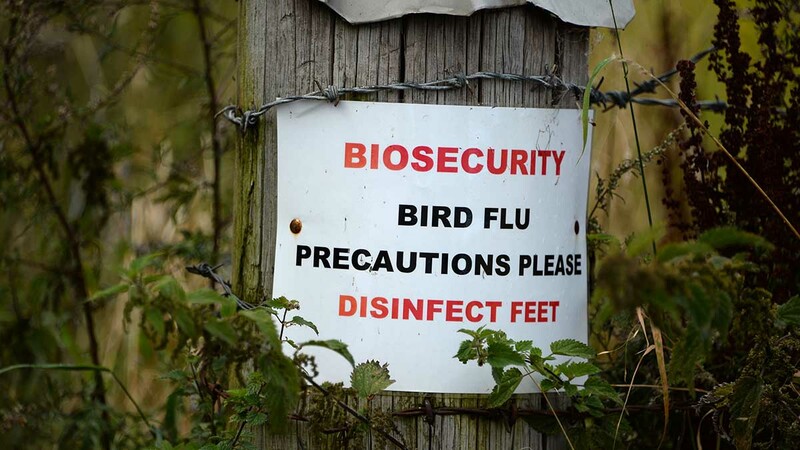 The wild bird H5N6 outbreak was discovered on January 31 in the Munster area but the Department of Agriculture, Food and the Marine (DAFM) is urging the risk of an avian influenza incursion in wild birds in Northern Ireland has risen from low to medium. It said the finding was ‘not unexpected’ but will remain in close contact with the Department of Agriculture, Environment and Rural Affairs (DAERA) to monitor the situation. Victor Chestnutt, Ulster Farmers’ Union deputy president said: “We strongly recommend that all poultry keepers, including backyard keepers, review their biosecurity measures and business continuity plans now, as the risk level may well increase in the coming weeks. Commercial and backyard keepers in England and Wales are still under legal precautions to meet strict biosecurity measures within the national prevention zones.